A volcanic eruption on Hawaii's Big Island has destroyed at least 77 homes and forced about 2,500 residents to evacuate as lava pushes into residential communities. Hawaii's Kilauea volcano on the Big Island erupted on May 3, sending lava bursting through the ground near homes, severing roads, and prompting evacuations. The governor has declared a state of emergency and deployed the National Guard to help with evacuation efforts. President Donald Trump has also declared a major disaster exists in Hawaii, making federal aid available for public facilities and emergency protection efforts. The volcanic activity has triggered hundreds of earthquakes, the largest occurred when a magnitude 6.9 struck the area. It was the strongest to hit the state in decades. About 2,500 residents in multiple communities on the east side of the island have evacuated because of the lava threat. The lava has destroyed at least 77 homes and covered 3,534 acres of land. Lava started to cover a geothermal plant, including two wells. A month after lava first began gushing out of cracks near homes on Hawaii's Big Island, the eruption at Kilauea volcano showed no sign of ending Monday with lava burning through residential communities as it flowed toward the ocean. On Sunday morning, the lava began destroying homes in the communities of Vacationland and Kapoho Beach Lots. Residents in the area were advised to evacuate last week, since it was clear that the lava would sever a major highway that connects the area to the rest of the island. Late Sunday night, the lava reached the ocean, flowing into and mostly filling Kapoho Bay. An aerial view shows an active lava flow crossing Pohoiki Road on May 28. Nearly a month after lava first erupted from Kilauea volcano's lower East Rift Zone, breaking through the ground in the residential neighborhood of Leilani Estates, it continues to pour out of the ground at fast speeds and is now heading downslope towards the last remaining road into east Puna and another community. Evacuations were advised Wednesday morning for residents in Kapoho Beach Lots, Vacationland and Waa Waa, because lava is expected to inundate a one-lane road that is the last remaining access into east Puna after Highway 132 was severed by lava just one day ago. Hawaii County Civil Defense warned that people who do not evacuate will be isolated. Power to communities in the area was lost Tuesday after utility poles were taken out by the lava, making it impossible to turn on sirens and more difficult to communicate with people who choose to stay in the area. The lava flow cuts across Kahukai Street in Leilani Estates. Hawaii County Mayor Harry Kim said at a community meeting that he would no longer send emergency responders door-to-door to tell people that they need to leave from already evacuated areas, after doing so two nights in a row for residents still living in Leilani Estates. He said it had become to dangerous for emergency responders. "What is happening in lower Puna today is something that no one alive in the world has ever experienced because we are talking about things that happened in the 1700s or 1800s," said Kim. "We are trying the best we can." For emergency access into the west side of Puna, the Hawaii National Park Services and the state's Department of Transportation signed an agreement Wednesday to remove lava from the Chain of Craters Road, which is a dirt road that runs through the park, according to the park's spokesperson. The emergency route would be needed if Highway 130, which has experienced severe cracking, becomes impassable. At least 71 homes have now been destroyed by lava that broke open the ground and started erupting from Hawaii's Kilauea volcano nearly a month ago. At least 40 more structures have also been destroyed by the molten rock. Hawaii County Civil Defense Administrator Talmadge Magno said officials are using drones to survey the area, and comparing those images with maps from the Real Property Tax Division to tally the lava's destruction. Keeping an accurate count of buildings destroyed has been difficult, he said, because most of the area is no longer accessible and some structures do not have permits. Lava from Kilauea volcano crossed Highway 132 on Tuesday, severing the last accessible two-lane road into lower Puna. Residents can still drive on Government Beach Access Road, a one-land road that goes to the the Big Island's southeast side. The lava also took down a utility line that powered the lower Puna region, which would likely create an "extended outage," Magno said. Lava had also covered a road leading to the Puna Geothermal Venture plant and was headed towards several wells. On Sunday, two wells at the geothermal plant were covered by lava. On Monday night, a couple from New York was cited by Hawaii's Department of Land and Natural Resources for refusing to evacuate during a pending disaster after bypassing a security check-point to view an active lava flow. At Kilauea summit, the US Geological Survey reported a small explosion in the early morning hours Tuesday that sent ash to 15,000 feet above sea level. The explosion threw several incandescent blocks from Halemaumau Crater. Hawaii Volcanoes National Park spokesperson Jessica Ferracane said that three buildings at the park have been damaged by earthquakes: Jagger Museum, Hawaiian Volcanoes Observatory, and the Visitors Emergency Operations Center. The park has now been closed for more than two weeks. Zivile Roditis, right, walks up her driveway as her home burns due to lava from a Kilauea volcano fissure in Leilani Estates on Hawaii's Big Island on May 25. Leilani Estates residents who were still living on several streets were urgently told to evacuate Sunday night because of "fast moving lava flow", the Hawaii County Civil Defense said. Three shelters were available for those forced to leave their homes. Lava erupts near the Puna Geothermal Venture plant on May 21, 2018. On Sunday evening, lava flowed over one of the eleven wells at a geothermal plant built on Kilauea volcano's lower East Rift Zone. Puna Geothermal Venture has been a safety concern of community members and a focus of local officials since magma broke open the ground more than three weeks ago. About 60,000 gallons of highly flammable liquid were already removed from the site and officials have been scrambling to completely shut down the wells in order to ensure that they don't release deadly hydrogen sulfide into the air. Hawaii County Civil Defense tweeted Sunday evening that one well had been covered by lava and that it was not "expected to release any hydrogen sulfide." Earlier Sunday, plant spokesperson Mike Kaleikini said the lava was approaching one well and would likely cover other wells, since four of the wells are within a few hundred feet of each other. "I think the peace of mind will come when lava crosses the well and we can tell you the well is fine," said Kalekini, when asked if community members could watch the plant’s live feed of what was happening to the wells. He also said the wells were designed with the intention that they could be recovered after being covered with lava, saying that they had GPS locaters inside and that decisions about recovering wells would be made at a later time. A total of 82 structures have been destroyed as lava continues to spew out of fissures in the Leilani Estates neighborhood at a high volume. Of those structures, 41 of them are homes, Hawaii County spokesperson Janet Snyder told BuzzFeed News, who said the information came from the county housing department. As of Sunday, a total of 24 fissures had opened up across Kilauea volcano's lower East Rift Zone, which is where Leilani Estates — as well as a geothermal plant — are located. On Saturday night, lava spewed from Fissure 21 and started to encroach onto the property belonging to Puna Geothermal Venture. Hawaii's governor, David Ige, as well as the administrator for the state's emergency management agency, and a spokesperson for Puna Geothermal Venture said during a press conference Sunday that lava was encroaching on a well at the plant and would likely cover it and other wells by the end of the day. The plant consists of 11 wells dug more than a mile into the earth, which were used to help produce electricity. Hawaii Emergency Management Agency Administrator Tom Travis said that 10 out of 11 wells have been "quenched," a process that usually involves filling the wells with cold water in order to decrease pressure. "They had to do a different kind of plug" on the final well, he said, "but it is plugged." Mike Kaleikini, the plant spokesperson, said the alternative plug was made out barite instead of metal, and that "we would have liked to put in the metal plug, but we are confident that the plug will maintain its integrity." Travis said "nothing" is expected to happen when lava covers the well. However, the governor said officials would evacuate nearby residents if there is a health risk, which would include emissions of deadly hydrogen sulfide. Residents would be notified of evacuations by sirens, radio alerts, and personnel sent door-to-door, he said. Three weeks after lava burst through the ground on Hawaii's Big Island, residents are still trying to get their lives back on track, even though no one knows when the eruption will stop or how much ground the lava will cover. Nearly 2,000 people had to evacuate from Leilani Estates and Lanipuna Gardens as fissures spewed lava and threatened to cut off access routes. More than 20 fissures have since opened, 50 structures have been destroyed, and 1,700 acres have been covered by lava as 245 people continue to use three evacuation shelters. And while no one has been killed, a 57-year-old man was injured when lava sent into the air hit his leg. After having to evacuate her Leilani Estates home of nearly 30 years in about 30 minutes, Julie Leialoha said she and her 79-year-old mom have "sort of landed on our feet," staying with a friend until last week when they moved into a month-to-month rental. She added that "people are doing what they can to help each other." The Big Island is her home and she would never consider leaving, but Leialoha said her next property might be farther away from the Kilauea volcano. Lava enters the ocean off Highway 137 on Sunday. Hawaii officials said Wednesday they are prepared to airlift up to 2,000 people living in communities near the erupting Kilauea volcano if the area becomes cut off by lava flows. Highway 137, which runs along the eastern coast of the Big Island, was severed when lava flowed downslope from fissure eruptions and entered the ocean. If Highway 130 also becomes inundated by lava, communities west of MacKenzie State Park could be cut off completely. Highway 130, which has already been severely cracked, crosses the East Rift Zone, where magma flows. Hawaii Civil Defense Agency Administrator Talmadge Magno said Wednesday that two large national guard helicopters could each carry more than 20 passengers to safety if "a lot of people get isolated." He estimated nearly 2,000 residents could be impacted. "What we've tried to focus on ... is that people recognize the possibility of isolation out there, and they need to be prepared," said Magno. "We want them to be in place prior to any isolation, so that the folks that are planning to stay down there that is their plan, and the folks that don't want to be isolated they've moved out already or they're prepared to move out pretty quick." The Hawaii Department of Transportation and the National Park Service will also attempt to clear lava that has covered a dirt road that runs through Hawaii Volcanoes National Park, which could serve as an alternative evacuation route. Park spokesperson Jessica Ferracane estimated on Monday that clearing the lava from the road would take two to four weeks once it begins. "Provided there are no surprises," Ferracane said. "There are some hot areas down there." As of Tuesday, 50 structures had been destroyed and 1,700 acres had been covered by lava, according to Magno. On Kilauea's Lower East Rift Zone, buried and burning vegetation produces methane, igniting in road cracks to cause blue flames. Scientists with the US Geological Survey are warning people near the active fissures on Kilauea's lower East Rift Zone to watch out for methane explosions. "I was out in the field yesterday and I experienced two methane explosions," volcanologist Wendy Stovall said Tuesday, warning people to stay away from the fissures because of this new threat. The methane gas is caused by burning vegetation trapped in the many cracks forming in the residential neighborhoods of Leilani Estates and Lanipuna Gardens, Stovall said in a follow-up Wednesday. The highly flammable gas flows through the underground cracks looking for places to escape, causing the blue flames pictured above. And when the methane interacts with lava, Stovall said, it can explode. "If the methane gets trapped underground and it's ignited, it can cause a very large explosion that will throw blocks several meters away," she said. Halemaumau Crater, at the summit of the volcano, continues to experience explosive eruptions, including at least two that occurred Wednesday, reaching as high as 9,000 feet above sea level. The National Weather Service has issued a special advisory about ash to the southwest of Kilauea's summit. The lava from the lower East Rift Zone is still flowing downslope to the ocean, where it is also causing small explosions in the water. "The lava that flows into the ocean cools very quickly and it breaks apart and sends lava fragments flying into the air," Stovall said. "If there are boats on the water, those particles can be thrown pretty far away and they're hot." Lava from the erupting Kilauea volcano has creeped onto the property of Puna Geothermal Venture, burning a small structure and heightening fears that the plant could start releasing clouds of toxic gas if it is compromised by the molten rock. As of Tuesday evening, lava was still actively erupting from fissures near the plant. Though flows are mostly moving south towards the ocean, officials said the lava is also slowly moving north onto the property and is now as close as 656 feet away from the plant itself. Officials said they are preparing for the worst-case scenario: If lava inundates a well, they said, it could trigger a release of deadly hydrogen sulfide gas. Hawaii officials warned Monday night that an ash plume caused by an explosive eruption at the summit of Kilauea volcano might affect surrounding areas in the south Big Island. The explosion happened at 5:51 p.m. and followed another explosion from Halemaumau Crater that occurred earlier in the morning, at 12:55 a.m. Hawaii time, producing an ash plume that rose about 7,000 feet above sea level. It was not immediately clear how big the explosion was Monday night, but officials have warned communities southwest of the summit to watch out for ash fall. Monday's eruptions did not reach the size of Thursday's explosive event at Halemaumau Crater, which reached heights of 30,000 feet. But the US Geological Survey has warned that Kilauea will likely see more explosive eruptions that may produce "ballistic projectiles." The last time this type of volcanic activity occurred at Kilauea, in 1924, there were at least 50 explosive eruptions. Down the slopes of the volcano, along the lower East Rift Zone, lava from the most recently opened fissure — the 22nd since eruptions began this month — was still very active, feeding a channel that flowed all the way to the ocean. Lava from Fissure 22 had crossed onto the Puna Geothermal Venture's property, officials said Monday, but is being stopped by a berm. The geothermal plant, which converts steam from underground wells into electricity, has been a concern of officials and locals, as it could release toxic hydrogen sulfide if reached by the lava. On May 10, officials removed 60,000 gallons of highly flammable liquid from the plant . Since then, Hawaii Emergency Agency Administrator Thomas Travis has been working to completely shut off the plant's 11 wells at the plant. On Monday, Travis said crews were still working to plug the final well. Three other fissures were also producing some eruptive action Monday night, while the others were quiet. But USGS warned that the situation continues to evolve and that fissures could erupt at any time. Hawaii's Kilauea volcano has been putting on a fiery show on the Big Island that's been heating up in recent days. In the past two weeks, more than 20 fissures have opened up in a residential area, spraying lava as well as toxic gases into the air. At least 40 structures have been destroyed, and on Saturday one person was injured by a "lava bomb" that hit him while he was sitting on his porch. Over the weekend, lava coming out of the fissures started moving faster, flowing downslope, where it crossed a highway and met the ocean. See more images of the lava flow here. Volcanic lava crossed Hawaii's highway 137 late Saturday, creating plumes of "laze" — a hazardous mix of gases and glass particles. "Be aware of the laze hazard and stay away from any ocean plume," the Hawaii County Civil Defense Agency wrote on Facebook Sunday. According to the agency, laze — a portmanteau of "lava" and "haze" — "is formed when hot lava hits the ocean, sending hydrochloric acid and steam with fine glass particles into the air." It can cause lung, skin, and eye infections, and in 2000, killed two people. "Visitors should avoid this plume at the entry point and downwind, as even the wispy edges of it can cause skin and eye irritation and breathing difficulties. Acid rain from the plume has a pH between 1.5 and 3.5, and has the corrosive properties of dilute battery acid," according to the US Geological Survey. Due to the hazard, sections of highway 137 are closed, as is all of Kamaili Road. Active lava flows caused brush fires to break out on Hawaii’s Big Island Saturday night, prompting officials to call for the immediate evacuation of residents along Kamaili Road. County and state fire officials were in the area, urging people to leave their homes. CD Sat 5/19 630PM Kamaili Rd residents need to evacuate now due to brush fires. Fire units going door-to-door. Stay clear of this area. Officials warned residents Saturday that the lava could cross Highway 137 within a few hours. Lava crossed part of another road Friday afternoon, isolating 40 homes as it sped up on its path towards the Pacific. Four people were evacuated by county and National Guard helicopters, according to the Hawaii Civil Defense Center. By Saturday morning, four more homes had been destroyed. So far, no deaths have been reported as a result of the eruptions. On Saturday, however, officials said that a man had suffered a “serious” leg injury after being “lava bombed” by spatter from a nearby fissure while sitting on his porch. Fountains of lava shot hundreds of feet into the air Friday near homes on Hawaii's Big Island, threatening several structures as new volcanic fissures opened in the lower Puna area. Civil defense officials said a total of 40 structures have now been destroyed by the lava and several fissures were producing lava flows and spatter as the eruption intensified. Fissure 17, located in Leilani Estates, was shooting lava up to 320 feet into the air, the USGS said. Live video from lower Puna showed fountains of lava spraying well over the roofs of homes. Earthquake activity in the area, which had decreased in recent days after explosive eruptions at Kilauea, was slowly increasing again, seismologists said. "At any time, activity may again become more explosive, increasing the intensity of ash production and producing ballistic projectiles very near the vent," the USGS said. "Communities downwind should be prepared for ashfall as long as this activity continues." Steve Clapper, a resident living in the Leilani Estates subdivision, takes pictures of cracks on the street as gases continue to rise from fissures on Friday. Thursday morning's explosion at Kilauea summit reached heights of 30,000 feet and blanketed Hawaii Volcanoes National Park in a light layer of volcanic ash, according to a park's spokesperson. But steady rain throughout the day has dampened the ash. The park has now been closed for seven days and staff had also vacated the park because of safety concerns. Ash and vog from this morning's explosion caused air pollution in the surrounding area. Hawaii County Civil Defense officials handed out 18,000 ash masks to people in the surrounding area Thursday, said administrator Talmadge Magno. The Federal Aviation Administration also increased the Temporary Flight Restriction around the volcano from 20,000 to 30,000 feet above ground level, and extended it out to a 5-nautical-mile radius around the summit. Lois Iwashita, an educational assistant at Pahoa High and Intermediate School, wears a mask to protect herself from volcanic gases in Pahoa. On Kilauea's lower East Rift Zone, which is about an hour drive from the summit, another fissure opened up in Leilani Estates. Several older fissures also reactivated and started releasing lava again, according to the Hawaii County Civil Defense. Magno said that 39 structures in the neighborhood have now been destroyed by the lava. Hawaiian Electric Company said downed power lines have caused more than 400 homes in the evacuated community of Leilani Estates to lose power, but they would not be sending crews in because of safety concerns. Even though there is a mandatory evacuation for Leilain Estates, about 20 homes are still being occupied, said Magno. He said they will not be forced to leave unless necessary for safety. "Throughout my career, I've found out that lava has a way of moving people," Magno added. "Just by its nature." Hawaii Gov. David Ige said during a press conference Thursday on the Big Island that the Puna Geothermal Venture plant, which converts steam from underground wells into electricity, and is near the lava flow is still in the process of being completely plugged. "We want to mitigate the risk as quickly as possible, but we want to be smart and we want to be certain we are doing the right things," said Ige. He also encouraged tourists to continue to visit the Kona side of the Big Island and the rest of the state, which is not impacted by the volcano. After about two weeks of increased activity at Kilauea volcano on Hawaii's Big Island, the summit crater on Thursday has just had a massive explosion that sent ash 30,000 feet into the sky. Scientists have been warning residents and visitors for days to expect a possible explosive eruption, as the summit's lava lake continued to drop at the Halemaumau Crater. Kilauea has only had two major explosive eruptions since 1790, and both were deadly. According to geologists, this type of eruption occurs when Kilauea’s summit lava lake drains so far below the surface that magma actually dips below the groundwater level. Rockfalls can then clog up the magma source, leading to a build-up of pressure underground followed by a big explosion. The first image is from May 2017, while the second image is from this month and shows the lava's path. In the last two weeks, more than 20 fissures have split open the earth and spewed lava in and around the residential community of Leilani Estates on Hawaii's Big Island, forcing evacuations and forever changing the landscape. The image below shows how far the lava has spread from one of the fissures, which seems to be nearing but not yet covering nearby homes. Lava shoots into the night sky from active fissures on the lower east rift of the Kilauea volcano on Tuesday. Hundreds of earthquakes up to 4.4 magnitude struck near the summit of Hawaii's Kilauea volcano. The earthquakes are happening as the magma level drops at Kilauea caldera at the summit of the volcano, USGS geologist Michelle Coombs said at a press conference Wednesday. The caldera, which has a mostly hardened lava floor, has already dropped three feet, causing the area around it to shift and crack. The earthquakes are occurring closer to the surface of the earth, making them feel strong. Hawaii County Civil Defense Administrator Talmadge Magno confirmed that cracks had appeared across Highway 11, which runs near the rim of Kilauea caldera. He said the road would be maintained to remain passable for the time being. USGS said it has observed dense blocks up to two feet across a few hundred yards from Halemaumau Crater — signs of the biggest explosions from the crater so far. The staff of the USGS's Hawaiian Volcano Observatory has moved from Hawaii Volcanoes National Park to the campus of the University of Hawaii in Hilo because of threats posed by the ongoing eruptions. Coombs said the geologists are now monitoring the volcano remotely, and noted that it was the first time USGS had completely vacated the observatory. The potential for a larger steam-driven explosion at the summit of Kilauea in Halemaumau crater is still possible, Coombs said. This image provided by the USGS shows lava spattering from an area between active Fissures 16 and 20 on Wednesday on Kilauea's lower east rift zone. In Kilauea's lower east rift zone, where residential communities have been threatened by fissures spewing lava from the ground, there was little new activity Wednesday. Still, residents in the lower Puna area who have not already evacuated have been told to be ready to leave at any time, as the eruption continues to be unpredictable. "This looks like it will probably go on for a long period of time," Magno said, adding that officials are conducting fixed monitoring of the eruption and air quality. "We want to be able to assure the community out there...that we can give them the proper warnings." A giant ash cloud has been rising from the summit of Kilauea volcano on Hawaii's Big Island, but that didn't stop people from trying to get a hole in one. Golfers were photographed Tuesday playing a round of golf at the Volcano Golf and Country Club on Hawaii's Big Island, even as the giant cloud of ash rose up. The golf course is right behind the Hawaii Volcanoes National Park, which has been closed since Friday in anticipation of a major explosive event. People were also seen Tuesday pulling over to take selfies with the ash plume, despite officials urging drivers not to stop along the road to to photograph the ash plume. "When there are ash events, like there was yesterday, people are pulling over, parking their car, hanging out and setting up," Jessica Ferracane, a spokesperson for Hawaii Volcanoes National Park, said Wednesday. "We are not allowing that." The ash cloud seen Tuesday afternoon at Kilauea Volcano’s summit was "not the big one,” according to US Geological Survey geologist Michelle Coombs, who spoke at a press conference on Hawaii's Big Island after the event. Coombs said that Halemaumau Crater, which is located at Kilauea summit, could still have "more intense explosions," but that it was unpredictable and they expected the volcanic activity to "probably going to continue to wax and wane." Two new fissures opened up Monday night in Lanipuna Gardens on Kilauea's lower East Rift Zone. Coombs said that the fissures are the 20th and 21st to break open in the residential area, though he added that the latest cracks are small and have produced only "tiny little pads of lava," which are not currently threatening any homes or roads. The longest flow of lava from a fissure has come from the 17th, which is now a mile and a half long, but has slowed significantly, Coombs said. Scientists expect more volcanic activity in the lower East Rift Zone, but cannot predict where more fissures will open up or what volume of lava will come out of them. Wil Okabe, managing director for Hawaii County, said that his office has made plans to pave a dirt road that runs along the east side of Hawaii's Big Island, in order to open up more transportation routes through the area being covered by lava. So far, three major roads have been threatened by cracks and lava. USGS raises alert at Hawaii’s Kilauea summit to the highest level, meaning a "major volcanic eruption is imminent"
USGS image taken Tuesday around 1:20 p.m. local time. An eruption at Halemaumau Crater, which is located at the Kilauea summit, increased in intensity Tuesday, producing a massive ash cloud that had risen as high as 12,000 feet above sea level, according to the USGS. Ashfall and vog (volcanic air pollution) was reported to have drifted downwind and reached the town of Pahala, about 18 miles away. On Tuesday around 1:20 pm, the USGS reported a clearly evident crashing sound for about 5 seconds, which was followed about 20 seconds later by a reddish plume that was then followed several seconds later by minor ashy plume. The USGS warned that the eruption could still become more explosive. "At any time, activity may become more explosive, increasing the intensity of ash production and producing ballistic projectiles near the vent," it said. The US Geological Survey said Tuesday that the Halemaumau Crater on the Big Island had sent an ash plume between 3,000 to 4,000 into the sky that was larger than any in the previous 12 days of volcanic activity. The Hawaii County Civil Defense Agency advised nearby residents to drive with caution as ash made its way across a nearby highway. The National Weather Service also told residents to limit their exposure to the ash, which can irritate the eyes and respiratory tract. The ash was drifting southwest and falling in the Kau district, officials said. The ash plume comes as officials warn of a possible eruption, which could sling massive boulders, tons of ash, and lava into the air. Meanwhile, lava from the 20 fissures has covered thousands of square feet, destroying dozens of structures. A 20th fissure has opened near Hawaii’s Kilauea volcano on the Big Island, officials said Tuesday, prompting warnings about air quality as vents continued to spew sulfur dioxide. The new fissure, which opened in Lanipuna Gardens near the 19th opening, did not threaten additional homes or roads, officials said, but it was the fourth to open in the last three days. At least one continues to spew lava at a rapid rate. The Civil Defense Agency also issued a warning to residents to either shelter in place and close their windows, or leave areas affected by sulfur dioxide emissions. The gas is “especially dangerous for elderly, children/babies and people with respiratory problems” because it can cause choking and an inability to breathe. More than 1,800 residents in the communities of Leilani Estates and Lanipuna Gardens have been ordered to evacuate since the volcano first became active May 3, with the lava so far destroying at least 36 structures, mostly homes. More than 500 people and 150 pets slept at one of the two shelters set up for those who have evacuated their homes in lower Puna on Hawaii's Big Island due to volcanic activity that has broken open the ground in residential communities, spewing hot lava and hazardous sulfur dioxide gas. As of Monday, more than 19 fissures have opened up in lower Puna, with the fissure labeled as number 17 currently the most active, said United States Geological Survey geologist Janet Babb during a press conference. Lava from fissure 17 is moving toward Highway 137, which runs along the ocean. The lava flow is currently about a mile from the highway. On Sunday night, there were about 484 people who had evacuated from the lava threat who were sleeping at the Red Cross shelter in Pahoa, and another 25 residents at the shelter in nearby Keaau, according to Krislyn Yano, communications manager for Red Cross of Hawaii. The shelters were also housing about 100 dogs, 40 cats, 17 birds, one goose, and one rabbit. Hawaii County Managing Director Wil Okabe said during the press conference on Monday that the governor's and mayor's offices are considering opening additional transportation routes, prompted by a major concern that the population in lower Puna will be isolated by the lava. Hawaii County Police have arrested people for looting within the evacuated zone as well as for trespassing onto private property in order to record the spewing lava, Okabe said. He also noted that drones have been spotted flying in the area, despite the the fact that the Federal Aviation Administration has issued flight restrictions covering a radius of 12 nautical miles around the volcano's summit. A 19th fissure has opened in Lanipuna Gardens neighborhood as the Kilauea volcano continues to emit lava and gas on Hawaii’s Big Island. Lava from the 17th fissure, which opened Sunday, has started moving toward the ocean, according to the Hawaii County Civil Defense Agency. No additional homes or roads are threatened. Monday marks the 11th day of volcanic activity in the southeast area of the Big Island. Hundreds of earthquakes have rocked the island since the first fissure opened. More than 1,800 residents in the communities of Leilani Estates and Lanipuna Gardens have also been ordered to evacuate, and authorities have asked residents to prepare for the possibility of a much larger “explosive eruption” from the Halemaumau Crater. According to the Civil Defense Agency, such an eruption could send ash plumes as high as 20,000 feet and debris as far as 12 miles from the volcano. Another fissure opened Sunday night on private property on the Kilauea volcano, according to the Hawaii County Civil Defense Agency, marking the 18th such crack since eruptions began on May 3. Meanwhile, a 17th fissure, which opened earlier Sunday, prompted highway closures and further evacuations as it spewed lava into the sky and surrounding neighborhoods. Videos and photos of the fissure started appearing online soon after it opened up, around 5 a.m. local time Sunday. Initially, officials identified it as the 18th fissure but later determined that a crack that had opened Saturday night did not qualify for numbering because it did not erupt lava. Later, helicopter photos showed a smoking scar of lava across the fissure. A livestream of the eruption from Honolulu Civil Beat showed the lava hissing and flowing throughout the day. By nightfall, the activity seemed to increase, with giant lava fountains shooting up over the Hawaiian landscape. In the live video, people can be heard discussing whether they should begin "hiking out of here," away from the molten rock. In the meantime, a NASA astronaut tweeted that he was watching the entire eruption from space. Over the weekend, Hawaii's Civil Defense Agency continued to warn of the possibility of an "explosive eruption" and further earthquakes, advising residents in the lower Puna area to prepare for evacuation if they had not done so already. Nearly 2,000 residents have evacuated and 36 structures — mostly homes — have been destroyed since the eruptions began earlier this month. On Friday night, President Donald Trump declared a major disaster and made federal funds available for emergency protection and repairs in the affected areas on Hawaii's Big Island. After reports of a new fissure on the lower Puna area of Hawaii's Big Island, Hawaii County's Civil Defense Agency ordered new evacuations on Sunday. Residents of Hale Kamahina Loop Road were ordered to evacuate, according to an emergency message sent from the agency at 5:45 a.m. local time. The evacuation comes after a new fissure, the 18th to date, opened up "to the west, or Kalapana side of Highway 132 on Halekamahina Loop Road," on Saturday evening. More residents of the lower Puna area on Hawaii's Big Island were told by authorities on Saturday evening to be on alert for a possible evacuation in the event of an eruption, Hawaii County's Civil Defense Agency said in a statement on Saturday evening. The Hawaiian Volcano Observatory reported that a fissure opened on Saturday evening near the fissure that emerged on Saturday morning, and the Hawaii County Civil Defense Agency reported a new fissure on Sunday, bringing the total number of fissures up to 18. "Lava from this latest outbreak is actively spattering and degassing but no flow has yet formed," the observatory's status report on Saturday evening said. Activity from the 16th fissure was diminishing, according to the civil defense agency. Officials on Hawaii's Big Island said on Saturday that another volcanic fissure has emerged near homes as they urged residents in the area to remain vigilant in case of dangerous gas emissions or another volcano eruption. The US Geological Survey said on Twitter there was "no significant lava flow yet" from the new fissure, which is located northeast of Lanipuna subdivision. It was the 16th fissure to open up since the Kilauea volcano erupted on May 3, officials said. The new activity comes as officials urged residents in the lower Puna district to prepare for a possible evacuation, warning that an explosive eruption at the top of the volcano could take place virtually without notice. On Friday night, President Donald Trump approved a major disaster declaration, freeing up federal assistance help rebuild public infrastructure damaged by the Kilauea eruptions, and pay for emergency protective measures, including geologists, military personnel, and security. Meanwhile, Hawaii County Civil Defense has directed all vacation rental owners and operators in the lower Puna district to cease operations immediately so that emergency efforts could focus on residents. More than a week after Hawaii's Kilauea volcano erupted, sending lava up through the ground and destroying at least 36 structures, officials say they are preparing for the worst since there's no way to predict what might happen next. That worst-case scenario includes large boulders and ash shooting out of the volcano's summit crater, potentially wreaking havoc on the ground below. Officials have closed off a large swath of land indefinitely as a precaution, but fears of unstoppable lava flows cutting off escape routes could force more evacuations. More than 1,800 residents have already been evacuated, but Magno said another 2,000 people should be prepared to leave with little notice. When asked where an eruption might occur next, Jim Kauahikaua, a geophysicist with the Hawaiian Volcano Observatory, said: "It's very difficult to say since this thing [the intrusion] is miles long." "Why it choose Leilani Estates to erupt is not clear," he added. The Federal Aviation Administration has issued a temporary flight restriction above Hawaii's Big Island due to an "anticipated explosive steam event" at the Kilauea volcano, park officials said Friday. The restriction, which extends 20,000 feet above the ground and a radius of 12 nautical miles around the volcano's summit, was ordered at the request of Hawaii Volcanoes National Park, according to a park statement. Officials closed much of the park Friday due to ongoing seismic activity and because of the possibility of an explosive steam event. Army National Guard soldiers take measurements for dangerous levels of sulfur dioxide gas near a volcanic fissure. Officials on Thursday successfully relocated about 60,000 gallons of highly flammable chemicals from a power plant where lava is continuing to seep across parts of Hawaii's Big Island. After a new fissure erupted on Wednesday, Mayor Harry Kim enacted a task force to remove the Pentane fluid from the Puna Geothermal Venture plant, which is located on the cusp of the Leilani Estates — currently the epicenter of a volcanic eruption that has sparked evacuations and destroyed 36 structures. So far, lava from 15 volcanic fissures has covered nearly 117 acres and forced 2,000 people from their homes, with officials warning that the Kilauea volcano could become even more violent. As of Thursday morning, active eruption and spatters of lava along the volcano's lower eastern zone had died down, geologists said. But officials warned that earthquake activity and "additional outbreaks" are expected. High levels of sulfur dioxide have also been consistently measured into the air. And Hawaii's governor warned that more evacuations may be necessary as officials closely monitor another potential wave of violent eruptions. It’s been four years since Jerry Baker packed up and moved to Hawaii, leaving behind years of corporate work to carve out a “hippie” existence on a one-acre parcel of land atop the Big Island’s vast Kilauea volcano. “When I talked to the realtor, I told him I wanted to live in Leilani Estates,” Baker told BuzzFeed News, referring to the subdivision that has been overrun by lava, forcing 2,000 residents in the area to evacuate. Since last Thursday’s eruption, the neighborhood has been under assault by molten rock, which has fountained and oozed out of the earth and had destroyed 36 homes as of Tuesday night. People whose pets have been lost — many of them spooked by the massive earthquake on Friday or by the dramatic sounds of the lava eruption — are being encouraged to report their missing animals to the Hawaii Island Humane Society. "It’s a sad situation," said Adam Pereira, the shelter manager at the Hawaiian Island Humane Society. "They had to evacuate so fast and lots of people thought they’d go back the next day." The Hawaii Island Humane Society combed through every street on Leilani Estates Tuesday looking for pets still remaining in the neighborhood. It was the third mission to retrieve animals since the area was evacuated on Thursday. Hawaii Volcanoes National Park will close Friday because of the possibility of an explosive steam event at the summit of the Kilauea volcano. The park will remain closed until it's deemed safe to reopen. Most of the park will be closed starting Friday except for the Kahuku Unit, which will be opened during normal hours, according to park spokesperson Jessica Ferracane. The US Geological Survey warned earlier Wednesday of the possibility that a steam-induced explosion could occur at the summit of Kilauea due to the lowering of the lava lake, which could fall to the groundwater level, which has the potential to cause a steam-driven explosion. The ensuing ash fall event could be further aggravated by southerly wind patterns forecasted for Friday. Hawaii Gov. David Ige is asking President Trump to declare the state of Hawaii a major disaster as eruptions continue to displace residents and damage neighborhoods. "Since May 3, Hawai‘i County and the State of Hawai‘i have dedicated more than $400,000 in emergency protective measures for the lava flow and earthquakes in the Kilauea East Rift Zone," Ige said in a statement, noting that costs to protect residents are expected to exceed $2.9 million over the next few weeks. Officials announced that another fissure has emerged in the Lanipuna Subdivision, bringing the total to 15, and another structure has been lost as eruptions continue to rock Hawaii's Big Island. Water has also been restricted due to a broken feed line, though officials have established a temporary bypass to try to restore water service to affected areas. The Federal Emergency Management Agency is now on the scene to help orchestrate assistance, monitor response activities, and "ensure there are no unmet needs," a FEMA spokesperson told BuzzFeed News Wednesday. The US Geological Survey warned Wednesday morning the Kilauea volcano might explosively erupt in the coming weeks, shooting large "ballistic blocks" into the air. Officials said the steady lowering of lava in the volcano's crater could fall to the groundwater level and potentially cause steam-driven explosions. The explosion could then send lodged debris, rock, and mounds of ash into surrounding residential areas. "During steam-driven explosions, ballistic blocks up to 2 yards across could be thrown in all directions to a distance of 1 km (0.6 miles) or more," it said. "These blocks could weigh a few pounds to several tons." Smaller, pebble-sized rocks could also be fired several miles from the crater mostly in a downwind direction. Trapped rock within a crater can also cause explosions. On Wednesday morning, the USGS tweeted a photo of a short-lived eruption at the Halema'uma'u crater, "which was triggered by a rockfall from the steep walls of Overlook crater," it said. After a brief lull in volcanic activity, two new fissures have opened up on Hawaii's Big Island, sending residents fleeing from their homes as lava spewed into the Leilani and Lanipuna subdivisions. Hawaiian Volcano Observatory confirmed Tuesday afternoon that the two new vents had opened and ordered all residents of the Lanipuna subdivision to evacuate immediately. EVACUATION - HVO confirms 2 new vents. All Lanipuna residents must evacuate now. Evacuate towards the ocean Isaac Hale Beach Park. At least one home has reportedly been destroyed in the new eruptions, according to Hawaii News Now. Major Jeff Hickman of the Hawaii County Management Agency told BuzzFeed News that officials are concerned that the new vents may cut off a main thoroughfare, cutting off access to the subdivisions affected by the disaster. Though the areas remain under a mandatory evacuation order, residents had been allowed to return during daylight hours Tuesday to gather belongings and pets left behind in the initial evacuation last week. Though activity appeared to subside earlier Tuesday, officials had warned that the crisis was "not over." In an update Tuesday morning, the Hawaiian Volcano Observatory said that the "pause is likely temporary and resumption of lava emission or additional fissure outbreaks are possible at any time." Since Thursday, the lava has spread across at least 104 acres, destroyed at least 35 homes, and forced nearly 2,000 residents to evacuate their neighborhoods. Residents describe fleeing lava: "I could not catch my five cats"
An unidentified man gets close to a lava flow advancing down a road in the Leilani Estates subdivision near Pahoa on the island of Hawaii on May 7, 2018. In less than 30 minutes, Julie Leialoha had to leave her home of almost 20 years. After Kilauea volcano's eruption last week, she was told to evacuate because of nearby lava. Leialoha, 54, lives on Hookupu Street in Leilani Estates, which was evacuated along with Lanipula Gardens as a result of the latest eruption, which broke through the ground in the area in at least a dozen spots, spewing lava onto streets and into neighborhoods. About 1,800 people have been evacuated and 36 homes destroyed. Leialoha was born on Hawaii's Big Island, works as a program coordinator for the University of Hawaii at Hilo, and lives with her mother, who is 79 and uses a walker. She said getting her mom out was her first priority. "My mother, her medications, clothes, insurance docs," Leialoha said, listing the things that she grabbed as she was evacuating. "But I could not catch my five cats." She said her cats were already "freaking out because of the lava" and earthquakes. Hawaii Civil Defense officials say two new volcanic fissures have erupted near Leilani Estates, bringing the total in the area to 12. The two new fissures emerged south of Malama Street on Monday and were emitting lava and gas, officials said in a statement. "We saw similar things in 1955," said USGS geologist Janet Babb at a news conference. "A crack develops; then steam comes out. Then a lot of steam. Then lava will issue." Babb said it was unclear when the eruption might end or where it could occur next. "It's such a dynamic situation, with fissures changing at least daily, if not hourly," she said. "There's so much change going on right now that it's really difficult to forecast what might happen where, and so that makes it really hard to know exactly what place might be safe." See more photos of the Kilauea volcano's lava and how people are coping. As lava continues to move across roads — consuming houses and downing telephone polls — residents of Hawaii's Big Island are sharing their photographs, time-lapse videos, and texts with their families from the first hours of the explosion. One resident saw lava eruptions as close as the end of his street. Drivers captured steam and lava spewing from cracks in the earth as they fled. This real-time video shows lava slowly progressing across a street. But one time-lapse shows the progressing lava downing a telephone pole and engulfing a car — before the photographer gets out of the way. When things calmed down, geologists collected samples for study. CORRECTION: Several images in tweets previously included in this update were from a different volcanic event. Amber Makuakane, an elementary school teacher and single mother of two who lost her home to the lava from the Kilauea volcano, is raising funds to rebuild. Makuakane, a widow, evacuated Friday with three trash bags of clothes, two towels, three blankets, a cooler with food, a riding lawn mower, her kids’ bikes, a grill, and important documents, according to her GoFundMe. Her house in Leilani Estates was completely consumed by the molten rock, she told the Honolulu Star-Advertiser. More than $28,000 has so far been raised toward a $100,000 goal. Makuakane, 37, was born, raised, and graduated from Pahoa, her GoFundMe said. Her children, Alana and Aaron, are 6 and 4 years old, and her husband died two years ago. Initially, when the volcanic fissure opened across from her home, Makuakane thought everything looked fine, despite steam rising from the yard. Later, she confirmed that everything was lost to the lava. A lava flow moves on Makamae Street in Leilani Estates. The number of homes that have been destroyed by the lava in Leilani Estates has climbed to 26, the Hawaii County Civil Defense told BuzzFeed News Sunday. The Red Cross of Hawaii has opened two shelters for people who had to evacuate because of the eruption. As of Sunday afternoon, 250 people and 100 animals were at the Pahoa Community Center and 15 people were at the Keaau Community Center shelter, according to Coralie Matayoshi, who is the CEO of Red Cross Hawaii. Hawaii Volcanoes National Park partially reopened Sunday at 3 p.m., after having closed for two days following a series of large earthquakes on Friday. "The limited opening allows us to respond to new volcanic and seismic events should they occur and the closures that remain are necessary to keep people out of dangerous and unassessed areas," park Superintendent Cindy Orlando said in a statement sent to BuzzFeed News. "Visitors should expect changing conditions and be prepared for unannounced closures." The earthquakes caused several rock slides within the park; staff members are still assessing trails, but thus far only minimal damage has been reported. A total of 10 fissures have so far broken through the ground on Hawaii's Big Island, spewing lava into residential neighborhoods. "The last thing I know from our folks in the field is there were 10 fissures," Janet Babb, a spokesperson for the Hawaii Volcano Observatory, told BuzzFeed News. "This is a very dynamic situation: Fissures are opening; some are diminishing," and the number could quickly change, she added. This image shows the seventh fissure, which began Monday morning around dawn and was active for several hours, according to the USGS. "Right now we are monitoring by the ground. We have scientists on the ground 24/7 and we’re doing overflights of the area as we can," Babb said. To help with the response, scientists from other USGS observations, such as California and Alaska, have flown in. "There may be others coming in if it looks like this will be a prolonged eruption," Babb said. It’s unknown exactly how long this eruption will last. For example, a 1955 eruption also along Kilauea’s lower East Rift zone lasted 88 days. Photo of the lava from fissure seven slowly moving down Hookapu Street in Leilani Estates. Two new fissures opened and are venting lava and toxic fumes into the air around the Big Island's Leilani subdivison as of Sunday morning, according to the Hawaii County Civil Defense Agency, bringing the total number of volcanic fissures in the area to nine. One of the new fissures released lava fountains as high as 230 feet on Saturday night, according to the US Geological Survey. "Active venting of lava and hazardous fumes continues continues between Mohala and Pomaika’i Street," the agency's latest release said, adding that "conditions permitting", some Leilani Estates residents will be allowed to return home for a limited period of time between sunrise and sunset on Sunday to retrieve pets, important documents, and medication. Residents of Lanipuna Gardens, which was also evacuated, are not being allowed to return because of the dangerous level of volcanic gases in the area. Nine homes have now been destroyed since the volcano Kilauea erupted on Thursday, four more than the total count on Saturday afternoon. Residents will be required to provide identification and proof of residence before being allowed to collect their pets and belongings, and the Civil Defense Agency reiterated that "this is not the time for sightseeing", urging tourists to stay away. A column of robust, reddish-brown ash plume billows from the South Flank following the eruption of Hawaii's Kilauea volcano on May 4. The number of people who have evacuated from Leilani Estates and the nearby Lanipula Gardens as a result of the Kilauea volcano has risen to 1,800 — but scientists say there are signs that the threat has subsided. According to the Hawaiian Volcanoes Observatory, eight huge vents opened up after Thursday's eruption. By Saturday night these were said to be releasing only steam and gas, although it was reported that a ninth and a tenth fissure had opened. However, it remains possible the vents could release more lava, and further aftershocks may occur following the 6.9 magnitude earthquake on Saturday. Janet Babb, a spokesperson for the observatory, told Reuters the fissures in the earth could remain "for weeks or months." Hawaii Rep. Tulsi Gabbard wrote to William Long, the administrator of the Federal Emergency Management Agency asking for “short- and long-term housing, infrastructure, agriculture, and public health effects to Hawaii Island.” She confirmed that 1,800 people had been displaced since Thursday. Aftershocks continued to rattle Hawaii's Big Island Saturday after a 6.9 magnitude earthquake was triggered by an eruption from the Kilauea volcano. USGS Hawaiian Volcano Observatory Scientist Tina Neal told reporters that another, even larger earthquake was possible. Neal said Friday's large quake relieved some stress along Kilauea's south flank but another area of the volcano didn't move. "We should anticipate more felt earthquakes and some of them can be large and even damaging," she said. Neal said the level of lava flow output was "fairly low" but added it was difficult to predict if the flows would pick up. An eighth lava fissure had opened up. "We see no slowdown in activity," Neal said. Five homes have been destroyed by lava as of Saturday afternoon, according to the Hawaii County Civil Defense. All residents in Leilani Estates and Lanipuna Gardens communities remained under an evacuation order due to the volcanic activity and dangerous air quality conditions. An emergency water status has been issued for all areas oceanside of Leilani Estates due to main water lines being impacted by the lava activity, the civil defense said in a statement. The lava was also affecting power lines in the area, officials said. New vents of lava are opening in residential areas on Hawaii's Big Island as the Kilauea volcano continues to erupt. "Several additional eruptive fissures or vents — each several hundred yards long — have opened over the past day," said the Hawaiian Volcano Observatory. "No significant lava flows have yet formed. Spatter and lava are accumulating primarily within a few tens of yards of the vent. Fire officials warned of extremely dangerous conditions due to high levels of sulfur dioxide gas in the evacuation area. "The high levels detected are an immediate threat to life for all who become exposed," officials warned. "First responders may not be able to come to the aid of residents who refuse to evacuate." Visitors at the park's Jaggar Museum overlook watched Halema‘uma‘u Crater on Friday. Visitors and nonemergency staff were evacuated from Hawaii Volcanoes National Park following a series of earthquakes on Big Island on Friday. A powerful 6.9 magnitude earthquake struck at 12:32 p.m., following a 5.4 magnitude earthquake an hour earlier — triggered by an eruption from Kilauea volcano on Thursday. A series of smaller earthquakes and aftershocks continued throughout the day. 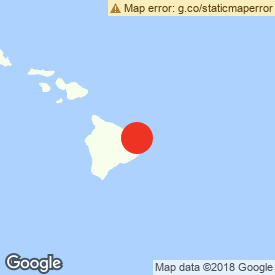 Around 2,600 visitors were due to be evacuated, according to a statement from the National Park Service, after the quakes triggered rock slides on trails, crater walls, and along sections of Chain of Craters Road. According to the statement, narrow cracks appeared in the ground near the park's Jaggar Museum, and rocks falling into the lava lake in Halema‘uma‘u Crater created dark ash clouds. The park will remain closed until it is deemed safe for visitors to reenter. "Safety is our main priority at Hawai‘i Volcanoes National Park, and it is currently not safe to be here," said Park Superintendent Cindy Orlando. "We will monitor the situation closely, and reopen when it is safe to do so." A powerful 6.9 magnitude earthquake shook Hawaii's Big Island Friday. It was one of the hundreds of earthquakes triggered by Thursday's Kilauea volcano eruption and the largest to strike the area in decades, according to the US Geological Survey. The earthquake was not expected to generate a tsunami, officials said. At least two homes have been surrounded by lava, Hawaii County Mayor Harry Kim told reporters. A sixth lava fissure had also opened on the eastern edge of the subdivision as of Friday afternoon, according to the Hawaiian Volcano Observatory. "Not all fissure vents remain active and no far-traveled lava flows have formed," the observatory said in a statement. Residents who were evacuated from Leilani Estates and Lanipuna Gardens were advised not to return home. As a result of the eruption, emergency water restrictions were put in place for the communities of Leilani Estates, Nānāwale Estates, Kapoho, and Lanipuna Gardens. The Hawaii County Civil Defense Agency said in a statement Friday afternoon that all water customers "must immediately restrict water use to health and safety needs only." "Hawaii Fire Department reports extremely dangerous air quality conditions due to high levels of Sulfur Dioxide gas in the evacuation area," the statement said. "The high levels detected are an immediate threat to life for all who become exposed." Hawaii's Kilauea volcano erupted Thursday, sending lava bursting through the ground near homes and prompting mandatory evacuations for thousands of residents on the Big Island. The new eruption occurred in Leilani Estates, a residential neighborhood in the lower Puna district of the Big Island. Residents had been told to remain alert, as hundreds of earthquakes and increased seismic activity since Monday had heightened the possibility of an eruption. Just a few hours before the lava outbreak, a magnitude 5.0 earthquake shook the island, sending a huge plume of pink ash into the air. On Friday morning, another, even larger quake struck the island. At a magnitude 5.4, it was the largest quake yet to strike the island in the recent days. Located roughly a kilometer below ground level, it did not generate a tsunami, according to the USGS. A fourth and fifth lava fissure also opened in Leilani Estates Friday morning, according to the Hawaiian Volcano Observatory. On Monday, the floor of one of Kilauea’s volcanic vents, called Pu'u 'O'o, collapsed, causing magma to travel underground until it finally burst through a crack in Leilani Estates. After the lava flow started Thursday afternoon, the Hawaii County Civil Defense ordered thousands of residents in the surrounding area to evacuate. The evacuation area includes all of the Leilani Estates and Lanipuna Gardens subdivisions. The American Red Cross in Hawaii said it opened a shelter in nearby Pahoa for residents evacuating because of the lava threat. The Hawaii County Civil Defense said Keaau Community Center was also to be opened for additional shelter needs. People not in the evacuation zone were urged to avoid traveling to the area. The local utility company, which uses geothermal steam to produce electricity, is planning to shut down during the evacuation order, but still said, "We expect to have sufficient power." Fountains of lava were seen leaping into the air near the residential area. Michael Hale, who lives and runs a vacation rental business just two blocks from the lava explosion, told the Honolulu Star-Advertiser that the experience had made him question what's important. "I looked around and asked myself 'what’s valuable?'" Hale said about the minutes before he evacuated. "In that moment, nothing looked valuable. I filled the [truck] cab with mostly junk and that was it." Lower Puna resident Ikaika Marzo said in a Facebook Live video about the event that he saw fountains of lava about 150 feet high. "Tons of lava coming out — it sounds like a jet engine," he said. "It's going hard." "There are a lot of elderly people who are trying to find a place to go and need help to get their stuff out," Marzo said. Leilani Estates has a population of just over 1,500, according to the 2010 US census. Gov. David Ige declared a state of emergency for Hawaii’s Big Island and activated the state's National Guard to help with the emergency response. The last major volcano threat in Hawaii was in 2014 when several homes in the community of Pahoa were destroyed by lava. While Kilauea is one of the most active volcanoes in the world it is usually not explosive, but a 1924 eruption spewed ash and lava into the air, killing one person, and an eruption in 1983 sent lava fountains 1,500 feet high into the sky. This is a developing story. Check back later for updates and follow BuzzFeed News on Twitter.